Simply put, you get what you pay for. 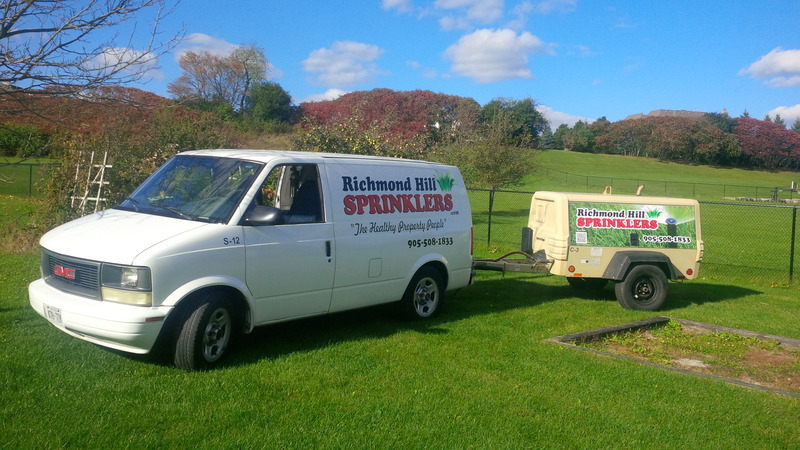 I am sure you can appreciate that you likely don’t have enough expertise to build a sprinkler system and it is therefore critical that you put your trust in a recognized local leader like Richmond Hill Sprinklers. 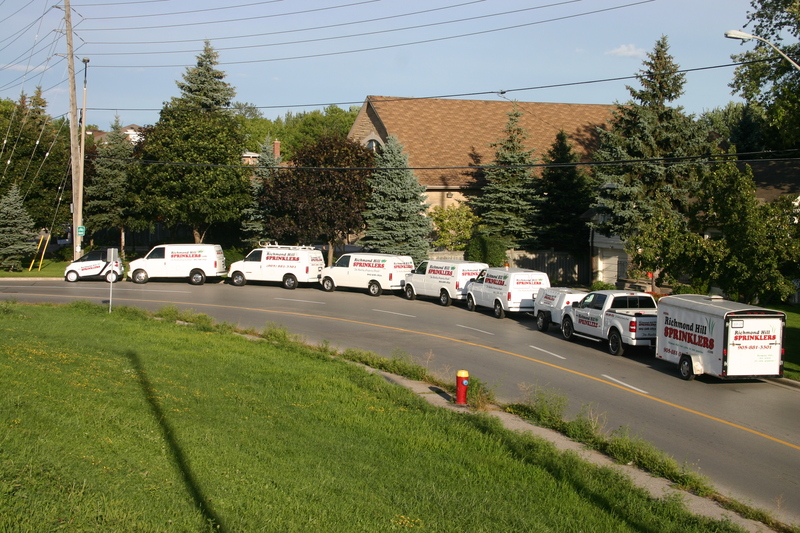 We have been in business for 15 years serving Richmond Hill and surrounding area. 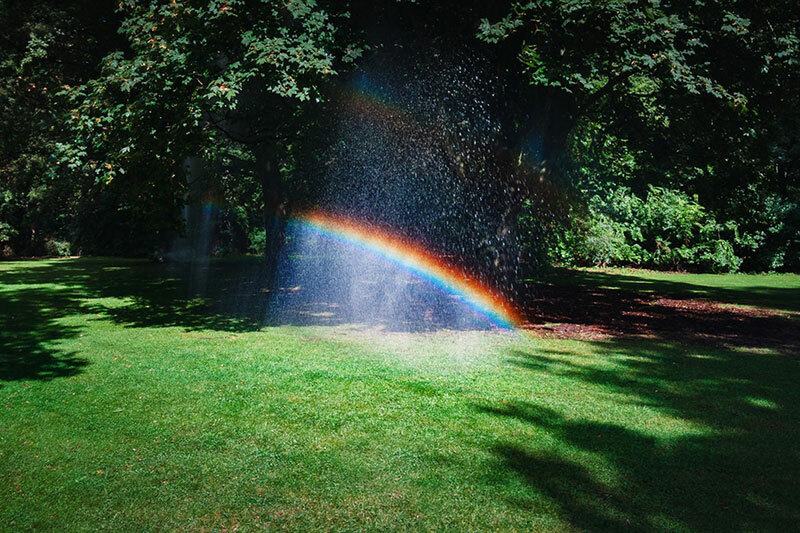 We specialize in Lawn Sprinkler Systems and that’s all we do. Our warranty is five years parts and labour, which is the longest in the industry. We are committed to damage free installation and getting things done right. Currently, our fee for a service call is only $64.99 which is the cheapest that you will find professionally. We achieve this by sticking to a small area of York region to maintain speed and efficiency. Currently we serve over 2200 clients, all within a 10 km radius of home base. With this business model we have proven to be a low cost provider, with exceptional personal service, and a fine attention to professionally designing and building a sprinkler system that fits your landscape and budget. We guarantee the cleanest finish to every job. We are approachable. We pick up phone calls and promptly return emails and messages. Contractors go missing and we hear it over and over. 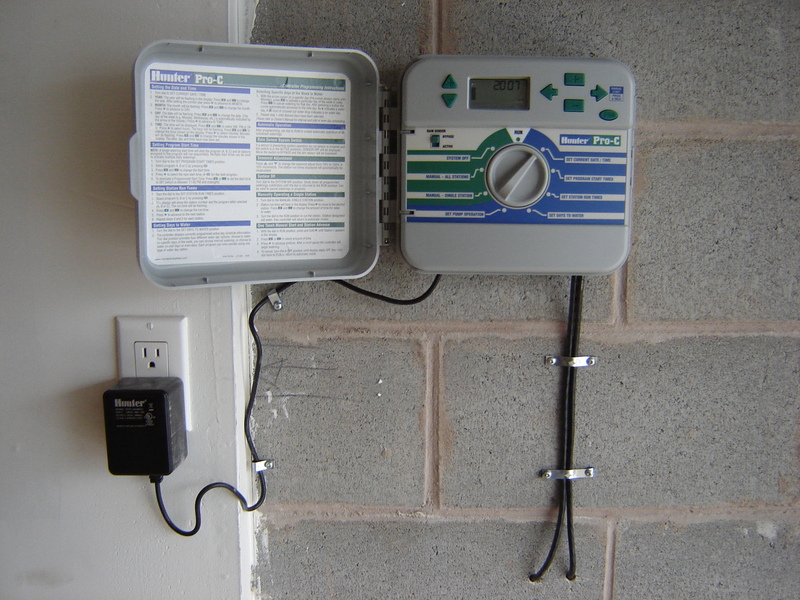 To date we have installed about 500 sprinkler systems. That means more than 1700 clients on our list were previously built and serviced by other companies. Contractors disappear, workmanship is sometimes poor, and business ethics have destroyed the relationship these valuable clients had with their previous contractor. Those promised warrantees mean nothing if they refuse to stand behind the horrible work they did. We thank all those contractors for making us what we are today and because of this we have grown 25% every year consistently since the day we started business. 1. On site experience of 15 years. This experience is on the job site. We are not simply selling you the sprinkler and sitting behind a desk. 2. Practical design resulting in the most aesthetically perfect job every time. Nothing beats sprinkler heads that are hidden, planted straight up and down and at the perfect height. We install swing joints in every hole to ensure correct height. 3. Water away from the building, not at it. Basements often have cracks where water can enter. Concrete is porous and we ensure that no water is hitting the house. 4. Proper depth of pipe consistently at 8 inches. This is the major shortcut that many contractors take. 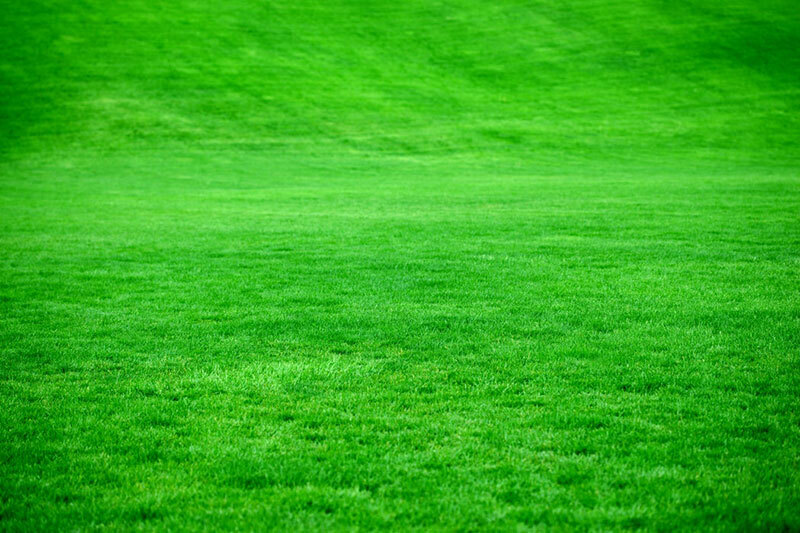 We have properties that we service that require multiple repairs every time they aerate the lawn. 5. Logical routing of pipe to minimize changes in the future if you decide to landscape. Piping in planting beds is protected in a PCV sleeve or routed against the wall so that punctures don’t occur with gardening activities. 6. 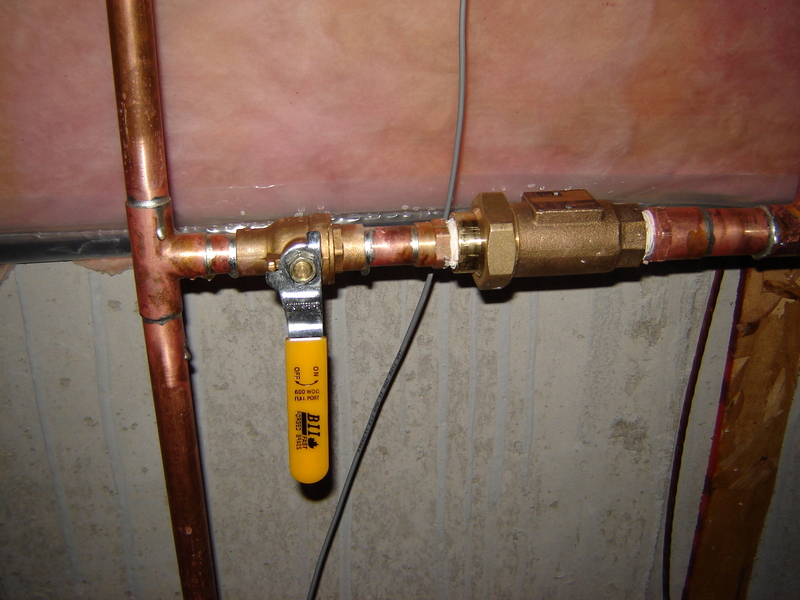 Proper larger water service installed from basement whenever permissible. Twenty years ago all contractors installed a larger service and sadly now with competition in the marketplace a lot of them don’t do it. Not only does a smaller service create more zones on the property but is not aesthetically pleasing to see a black poly pipe screwed to the existing garden tap. 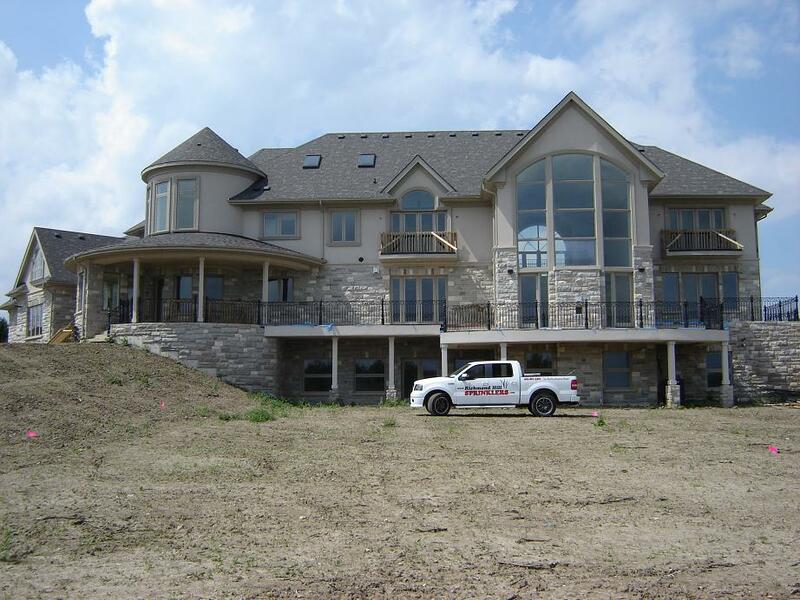 Choose contractors that follow professional standards. Kindly ask them to leave your property if they suggest using your existing ½ inch garden tap to run the sprinkler. 7. Lightning fast service to address and correct any concerns that you may have following the installation.